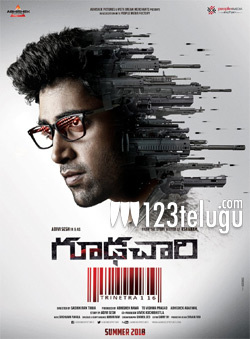 Adivi Sesh is leaving no stone unturned to make his upcoming spy thriller Goodachari a one-of-its-kind experience for the Telugu audience. The film is expected to hit the screens later this year and for the past few months, the team has been busy with editing the scenes that were already shot in India. Recently, Sesh, cinematographer Shaneil Deo, and few other key members of the crew flew to the US for a key schedule, in which quite a few action sequences are going to be shot. When the team landed in the mountains located in Washington state, the team was surprised to see sub-zero temperature sweeping throughout the region, and it was completely covered with snow. Despite all this, the team continued to shoot the film in difficult conditions. Sobhita Dhulipala is playing the lead role opposite Sesh in this spy thriller. Sashi Kiran Tikka is directing the film.